Last week we announced we'd be sponsoring a series of Purple Mountain races and events throughout 2011, the first of which being the Kielder Calling over the bank holiday weekend of 28-29th May. 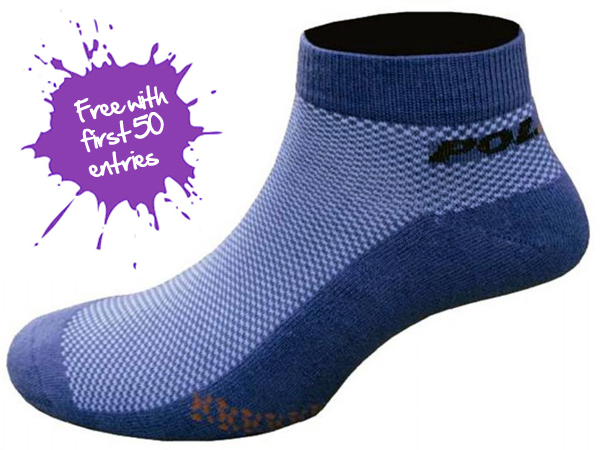 Purple Mountain are offering an exclusive 'Early Bird' deal where the first 50 Kielder Calling entrants get a free pair of Polaris MTB Extreme socks, perfect for keeping your feet comfy while you stomp to victory... Maybe! There's even talk of special On-One rider categories, so we'll be able to find out who's the fastest (and perhaps the daftest) On-One rider at the event! What is the Kielder Calling? The Kielder calling is a new endurance mountain bike event at Kielder Forest, Northumberland over the bank holiday weekend of 28-29th May. The event follows an 'Enduro' style format, with 3, 6 and 12 hour endurance events available for competitors to test themselves in. With a variety of categories the event is designed to give everyone the opportunity to give an Enduro a go so you can enter in a solo event and go it alone, or join up with riding mates, either in pairs or teams of 4. Further information can be found on the Kielder Calling website with online entry at XCRacer.com.